L.H. 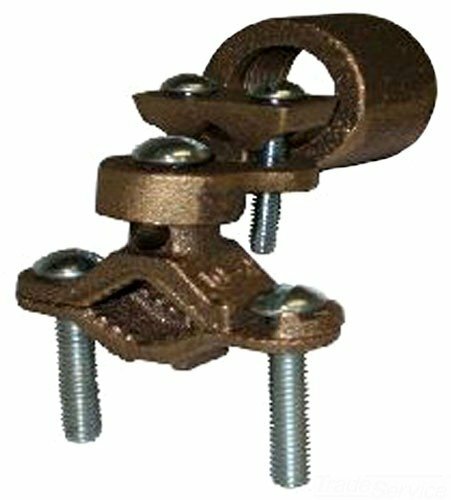 Dottie 271L Grounding Clamps with hubs are used to connect grounding conductor in conduit to water pipe for bonding or grounding. 1-1/4-inch to 2-inch Pipe Size. 10 to 2/0 AWG Conductor. 3/4-inch hub installation. UL listed. Bronze. Cast from high strength, highly conductive copper alloy with steel or bronze screws. This listing is for a standard package containing 25 units. If you have any questions about this product by L.H. Dottie, contact us by completing and submitting the form below. If you are looking for a specif part number, please include it with your message.